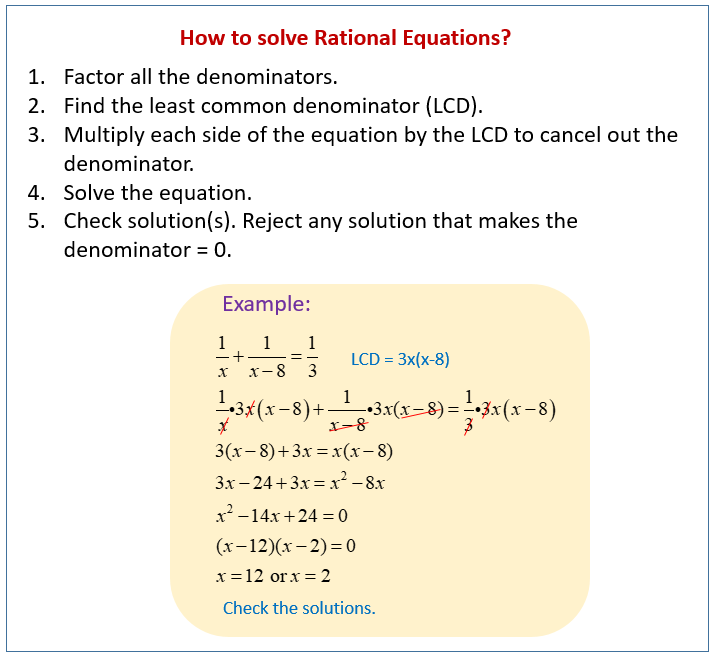 The following figure shows how to solve rational equations. Scroll down the page for more examples and solutions. This video explains how to solve rational equations. How to solve rational equations. Examples of how to solve rational equations. The graph of a basic rational function (1/x) is easy to do by plotting key points. When graphing rational functions, the functions are asymptotic to either the x-axis and y-axis or to certain lines if there are shifts in the graphs. More complex graphs of rational functions include functions with graph shifts. How to solve a simple rational equation for a parameter.